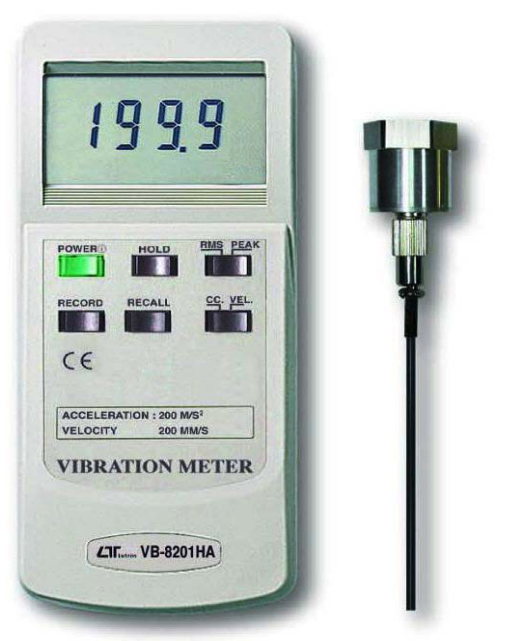 This low-cost vibration meter is perfect for industrial vibration monitoring. All industrial machinery vibrates. By monitoring the level of vibration you can assess the machines condition and carry out preventative maintenance. Poor balance, loose components and misalignment can be the causes of unusual vibration patterns. This tool is inexpensive, making it ideal for use out in the field by employees. If one gets broken or lost, they are inexpensive to replace. This doesn't mean that this is not a quality product. Lutron was established in 1976, and is an ISO9001 certified manufacturer that takes pride in its R&D capability. Lutron also holds patents on varies innovations and technologies, which the company has developed. Lutron products are significantly cheaper than other well-known brands for a couple of reasons. First, most Lutron test and measurement devices will only have the functions that you need. Secondly, Lutron has invested heavily in the latest automated production methods and select the latest electronic components available. This keeps the number of components in the device to a minimum and keeps production costs low. The savings are passed on to you as the consumer.